Part Dr. Who, part Blade Runner, and part A Midsummer Night's Dream, this genre-busting fantasy from the author of Incarceron asks: If you had the chance to change the past, would you do it? In book two of the critically acclaimed Obsidian Mirror series, New York Times bestselling author Catherine Fisher, called "the first lady of British fantasy” by the London Times, once again shows us that she is a master of world-building and surprising plot-twists. 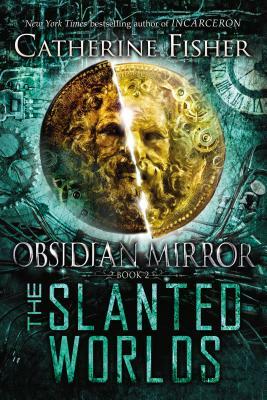 Jake, Sarah, and Oberon Venn continue their fight for control of the Obsidian Mirror, and whoever wins will either save a life, change the past, or rescue the future. But the Mirror has plans of its own.